The 2016 Toyota Yaris is designed with modern drivers in mind, so if you are looking for a vehicle that can keep up with your busy lifestyle prepare to meet your new favourite ride. Just as comfortable in the city, as it is on the highway, the new Yaris delivers on everything from comfort, style and power to safety and efficiency, and you won’t find better value for money anywhere. Here we will take a brief look at a few of the many highlights. From its athletic stance, aerodynamic lines and a sculpted front end to the wide range of modern colours available, this is a vehicle guaranteed to make a strong impression everywhere you go. When you step inside things, only get better as you are greeted by rich colours, smooth lines and chic accents, with every inch of the interior emanating a style, class and sophistication, unlike any other vehicle. The 2016 Yaris is designed to keep you connected, entertained and in control at all times. Wireless Bluetooth functionality means can you sync your many devices with ease, you can call or text hands-free thanks to the enabled voice recognition technology while the four speaker audio system provides premium quality sound throughout the vehicle. The available navigation system will also ensure that you and your vehicle are always on the right track thanks to a range of GPS data and live traffic information. Quality upholstery provides opulent touches from the head-rests to the steering wheel and each seat has been ergonomically designed to support your body in all the right places. There is ample leg room; storage spaces large and small everywhere you could possibly need them, and the 60/40 Split rear seats can be folded down with ease to maximise cargo space whenever necessary. The climate control system and cabin air filter deliver yet another classy touch, ensuring a relaxed and comfortable ride for all on board. Built with your protection firmly in mind, the new Yaris certainly has no shortage of safety features including Dynamic Stability Control, Electronic Brake Force Distribution, ABS Brakes, a Traction Control System, a suite of airbags and warning alerts for everything from low fuel to unlocked seat belts. Squeezing into even the tightest parking space will be safe and easy with the available backup camera and an impressive turning circle makes navigating narrow and busy streets a piece of cake. The 2016 Yaris is available in two high-performance options – the six-speed manual or the six-speed fully automatic transmission – both of which are just as capable in the city as they are on the highway. Powered by an extremely efficient 1.5L four cylinder engine that churns out 106 horsepower and 103 lb/ft. Of torque, the new Yaris also offers fantastic fuel economy with ratings of 6.7L/100km for the manual transmission (on the highway) and 6.4L/100km for the automatic. 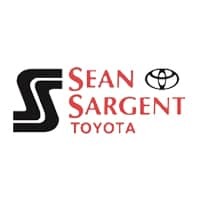 Here at Sargent Toyota, we have one of Alberta’s best selections of quality new and used vehicles and our team of experts will be happy to help you narrow down your options. Give us a call 1-877-847-5919, connect with us online or drop by and see us here at 10625 117 Avenue Grande Prairie. Looking for even more info on the 2016 Yaris? Click here to build and price your own Yaris today. And don’t forget purchase any new Toyota and receive 25,000 Aeroplan miles. 0 comment(s) so far on Meet the 2016 Toyota Yaris!!!! !